Whilst I'm not a vegan, I love creating delicious vegan recipes so I can share them with you because I know everyone has different food needs. The other great thing about vegan recipes, though? 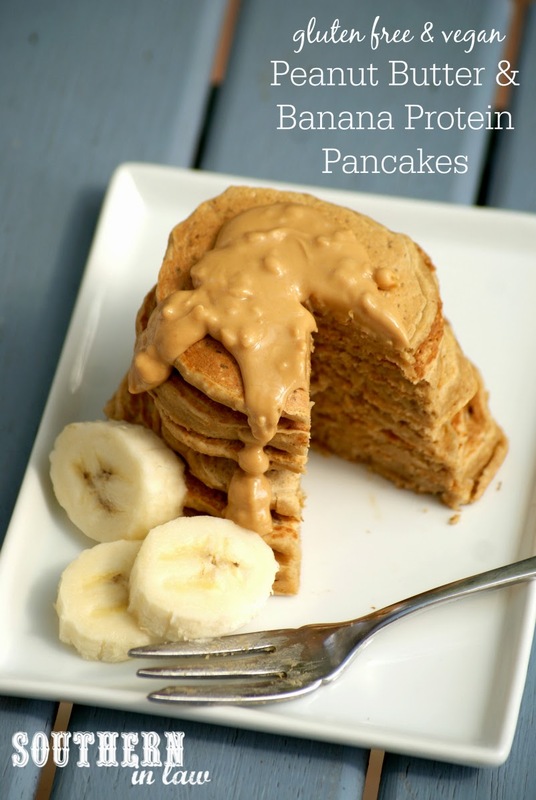 They're the perfect thing to whip up when you're all out of eggs, milk and other usual pancake essentials! These pancakes are absolutely delicious and protein packed so they're the perfect way to start your day. Every time I make pancakes, I notice just how different Jesse and I are. You see, I love lots of small little bite sized pancakes, whilst Jesse would prefer a couple of big fat pancakes on his plate. I like topping my pancakes with peanut butter and/or fruit whilst Jesse sticks to maple syrup and/or butter. 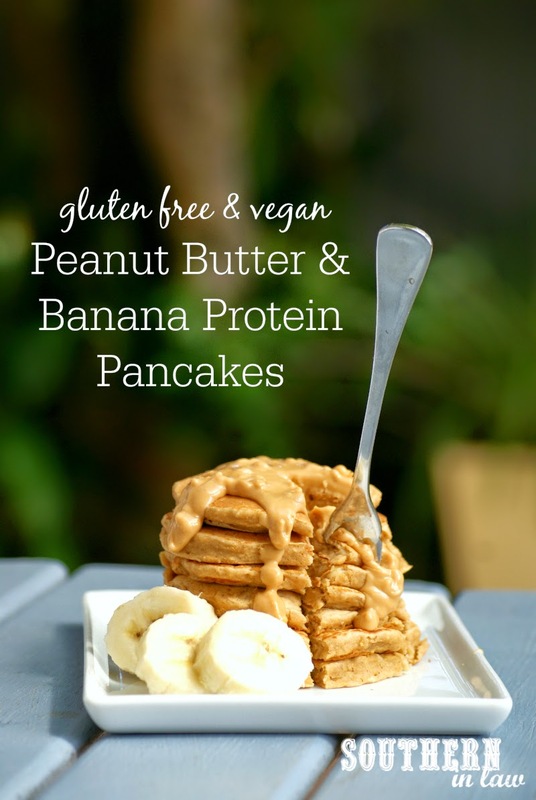 But regardless of how big or little you like your pancakes or whatever you smother them with, this is one pancake recipe I can guarantee you'll love if you like the classic peanut butter and banana combo! Optional: additional sweetener/sugar if you like things sweeter. I add in 1-2 tsp maple syrup for Jesse but keep them as is for myself. Optional: extra mix ins of your choice like chocolate chips, nuts, blueberries, banana chunks etc. Grease a non-stick crepe pan or frying pan and set aside. In a medium mixing bowl, mash your bananas and mix in your vanilla and milk. Add in your peanut flour, mixing until smooth and no lumps remain. Add in the rest of your ingredients, mixing until just combined. Heat your pan over a medium heat until hot. Add your batter to the pan in your desired size (I like lots of little pancakes whilst Jesse prefers a few big fat ones), allowing the batter to cook on the bottom (about 2-3 minutes - flip once the bubbles have formed and popped and the surface looks like it has started to set) before flipping and cooking on the other side. 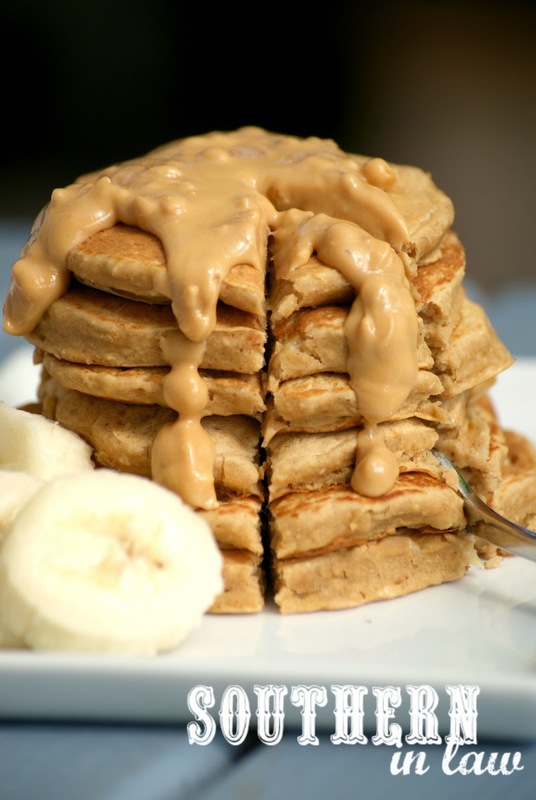 Repeat until all of your pancakes are cooked and serve immediately, topping with whatever your heart desires! These pancakes will keep in the fridge for 2-3 days stored in an airtight container or for months stored in an airtight ziplock bag in the freezer. 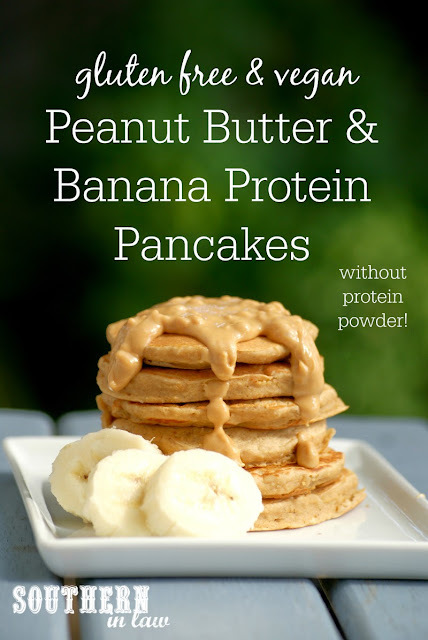 *If you don't have peanut flour, you can also use an equal amount of protein powder - but keep in mind you won't have peanut butter protein pancakes then! **Find out more about oats on a gluten free diet. If you can't tolerate oats, be sure to use 1/2 cup + 1 tbsp (70g) gluten free plain flour instead (or regular flour if you're not GF). But tell me, how do you like your pancakes? Do you prefer lots of little pancakes or a few big fat ones? And what's your favourite pancake topping? Ah! We're back to my mom buying bananas for my brother (now that we are both home for summer) and he never eats them...so there are bananas now...that will be needing some cooking love! Haha the same thing happens in our house! Jesse and I have our bananas for eating and then the bananas we buy for everyone else always become baking bananas!